Pinterest has become one of the most popular social media sites, attracting hundreds of thousands of unique users every day. While most users know that they can use the site to help with ideas for a party, a wedding or home décor, it is also a valuable vacation-planning resource. Pinterest is more than just pretty pictures; it is a great resource for discovering travel information. This social network describes itself as a “tool for collecting and organizing things you love.” No matter what you are interested in, whether it is baking, arts and crafts, bee-keeping, photography or of course travel, you will find it on this website. 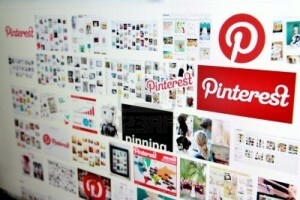 When you create a Pinterest account you will be given a pinboard where you can create a collection of images. You can look through other members’ pinboards for inspiration and even “re-pin” their images to your Pinterest board. It functions somewhat like an online scrapbook and each image that you add to your board is linked back to its original webpage. The very visual nature of this social media website is perfectly suited to travel. Here are some of the ways that Pinterest will help you to plan your dream trip. So you want to go on a travel adventure, but you aren’t sure where you should go. Why not take a look at Pinterest for some inspiration? There are plenty of pages on Pinterest that are dedicated to highlighting travel destinations and that will have photos of amazing architecture, yummy-looking local food, historic sites and landscapes. If something catches your eye, such as Cape Cod hotels or scuba diving in the Maldives, you can click on it and you will be taken to the original website to learn more. For example, perhaps you might see a photo of sunrise at the temple ruins of Angkor Wat and be inspired to visit Cambodia, or you might catch a glimpse of the Scottish Highlands that makes you want to plan a holiday hiking within the U.K. Pinterest showcases all of the juicy eye-candy photos so that you can browse through and click on whatever looks interesting. To find the best travel inspiration on Pinterest, look for the pages of the official tourism board of the country you are considering visiting. Also you can look at the Pinterest accounts of travel magazines such as Travel & Leisure, Budget Travel, and Lonely Planet. Also, try the “Travel Bucket List” board created by the Travel Channel, which is filled with a lot of great ideas. Don’t forget to check out the Pinterest boards of independent travel writers and bloggers. Pinterest can help you to choose your must-do travel activities. While you are planning your trip, you can start your own Pinterest board to collect and organize the travel inspiration that you find. As you continue to collect these images in anticipation of your trip, you will start to notice a few themes. For example, let’s say that you are planning a trip to Malaysia and you have created a Pinterest board to add interesting photos. After a while, you start to notice that you have collected many photos of emerald-green tea plantations, steaming bowls of spicy food and trekking in the jungle. Since you chose these images most frequently, they will reveal the activities that are not to be missed on your trip. From there, you can find out where you should head to find these experiences (The Cameron Highlands for tea plantations, Penang for food and Sarawak or Sabah for jungle trekking). Pinterest can help you to narrow down where you want to stay. You can use Pinterest to search for hotels in your destination city and find an assortment of photos. When you click on the photos, you will be taken to the hotel website for more information. Many hotels, guesthouses and hostels have begun to use Pinterest to attract visitors. Pinterest might also help you to discover unique and interesting hotels in your destination, such as tree-house lodges or stilt bungalows on water, as these will be the most photogenic and therefore likely to be shared on the website. These are just a few of the ways that Pinterest can be useful when planning your travels. Why not get started planning your trip right now? About the Author: Kaitlin Winters is a Pinterest addict who is currently using the website to plan her upcoming two-month trip around Europe.